Harlan County, wedged in a valley between two tree-lined ridge mountains in the Appalachian region of Kentucky, is a beautiful place. It is also one of the poorest communities in the United States, a place people have been leaving for decades. At its peak, more than 75,000 people lived in Harlan County. That was in 1940, when coal mining, the region's main industry, still provided ample, good paying work. 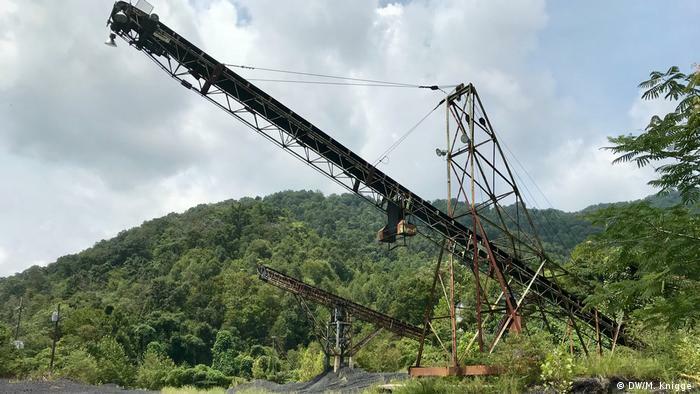 Since then, Harlan County's population curve has mirrored the steady decline of the coal industry. Today some 27,000 people still live here. With the poverty and unemployment rates more than double the national average, many of those who could have long moved away. Many of those who stay can barely make ends meet. There are exceptions. Chelsei Barrs, a Florida native, could not be happier in Harlan County. She moved here recently with her fiancée, who hails from the area, to make a fresh start after things did not work out in Michigan. 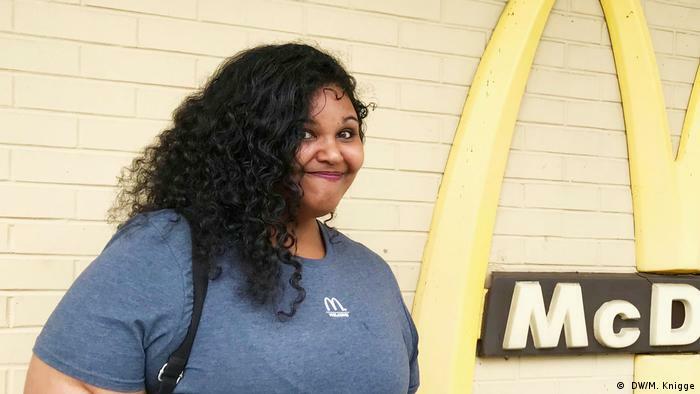 She quickly found a job at the local outlet of a national fast food chain and is now looking for an apartment. "I thought first it would be a little bit difficult, because I am not from here, and I did not see a lot of ethnic diversity. So I was kind of like, I stick out like a sore thumb, but honestly, nobody has been that way," Barrs said, outside the restaurant after her shift. "I have been treated nothing but nice." The Appalachian mountain region, which is largely rural and white, has a long history of being negatively depicted in American popular culture and media as a backwater populated by mostly unskilled, uncultured and unemployed residents deeply distrustful of outsiders. Most people here supported Donald Trump, who promised to bring coal back, and that brought some brief, national attention to their plight, but did little to alter the negative stereotypes associated with the region. Asked about that those stereotypes, Barrs who is African-American, said she was concerned about it at first, especially since she and her fiancée, who is white, had encountered racism repeatedly in Michigan. "I thought it would be worse, but honestly it's been nothing but good," she said. "A lot of people here are the sweetest people you will ever meet. We were offered rides when we weren't even looking from people we didn't even know. That's unheard of in the city." Geoff Marietta hails from rural Minnesota, holds an MBA and a PhD from Harvard and founded a successful software startup in Boston. While his background is very different from that of Barrs, he too came to Harlan County as an outsider and has a similar story to tell about the Appalachian people. "The people in Harlan County are the hardest working people in America," he said. "They will work when they are starving." Marietta, whose wife is from eastern Kentucky, discovered that work ethic when, while still in Boston, he needed some culturally sensitive software developers for anti-bullying video games his tech company was producing. Instead of hiring developers in Vietnam, family friends suggested he hire people in eastern Kentucky. "I said, 'Cool, let's try it.' So we set up a pilot project in 2013 and we hired four recent high-school grads for six months to do some of the software development. And they did phenomenal. And I started realizing: 'Oh my gosh, the people here are incredibly hard working." Two years later Marietta sold his software company and moved with his wife and two young boys — the oldest named Harlan — from Boston to Harlan County, a decision many of his Harvard peers considered crazy. Part of the reason for the move was that Marietta and his wife decided they did not want to pay others to raise their kids while they both worked 80-hour weeks in Boston. But the other part, Marietta said, was that as an entrepreneur he saw so much opportunity for investment in the region and its people. He became director of the Pine Mountain Settlement School, a 105-year-old national historic landmark located in a picturesque and extremely remote part of Harlan County. The school was originally founded as a boarding school for mountain children, but had been struggling to find its mission for the 21st century. Marietta turned it around and views it now as a model for a diversified economy in eastern Kentucky. Its environmental education program brings in school groups from across the US for field trips focused on Appalachian mountain ecology and culture, while its early childhood programs are geared to the local community. 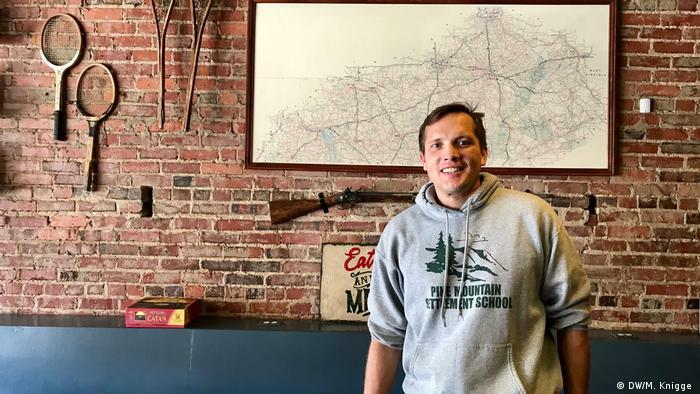 He also invested in and helped launch Mountain Tech Media, a media services company for eastern Kentucky that relies on local talent for its workforce. And at the end of last year, he was voted president of Harlan County's chamber of commerce. Marietta is upbeat about the community's long-term prospects, especially for tourism, and yet he knows how much work still lies ahead. "To say that the war in poverty is over is almost like a cruel joke," he said, referring to a White House report from July, declaring that the war on poverty was largely over and a success. "People are suffering." And it is not just the unemployment and poverty, but also the opioid epidemic that has wreaked havoc on the community for years, he added. 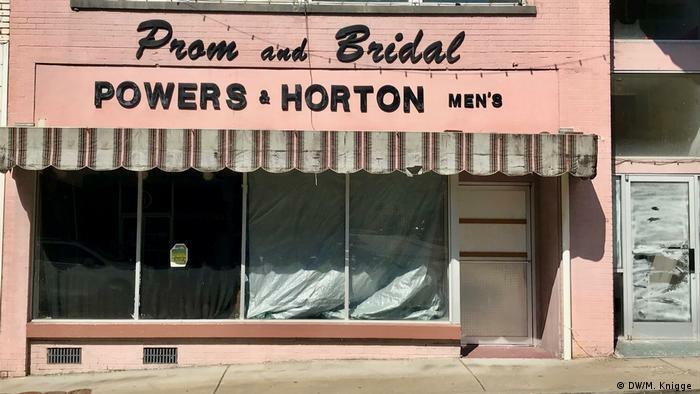 Many statistics highlight the plight of Harlan County and other distressed Eastern Kentucky communities, but three stand out. According to a recent study by the US government's Appalachian Regional Commission, the mortality rate for drug overdoses in Harlan County is more than double the national average, with 54.3 deaths per 100,000 residents. Its most recent per capita market income, a community's personal income without governmental transfer payments, was $12,579, while the national average is $40,679. And Harlan County residents die significantly earlier than average Americans. Males born here in 2014 have a life expectancy of eight years, females of seven below the US average, according to a University of Washington study. Marietta believes these figures help explain the near total support for Donald Trump; 85 percent of Harlan voters backed him in 2016. "People here have been left behind," he said. "Faced with a choice between Hillary Clinton, who seemed like a continuation of the Obama presidency — which most residents felt did not improve things — or some outrageous guy who was mired in scandals but at least acknowledged people's suffering and promised to bring coal back, the decision for most people here was clear. You would go with that guy." But the coal mining jobs that were lost over decades due to automation, tighter environmental regulations and a changing global energy climate have not come back to eastern Kentucky yet, despite President Trump's promises. Few here believe they ever will. 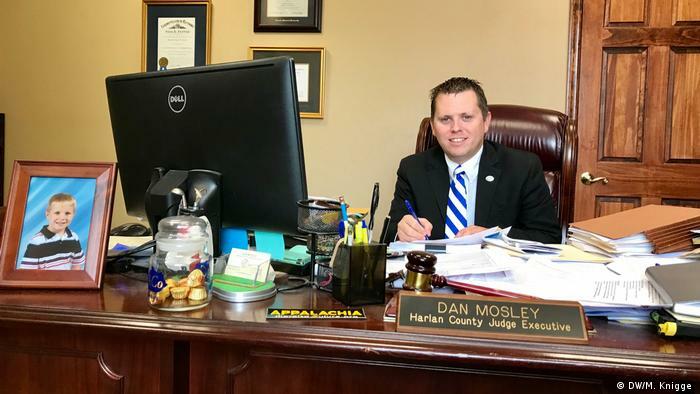 Dan Mosley, Harlan County's top administrator, a Democrat, whose father was a coal miner, is glad that one mine reopened here recently and hired more than 150 people. But he does not believe the community's future lies in resource extraction. He also does not believe the war on poverty is over. "I don't know what data someone is looking at when they are claiming that the war on poverty is over or it's been won," he said. "But it's not the same data that I am looking at or what I see with my own eyes living here." Mosley was leading a comfortable life as a banker before deciding four years ago that he had to try to help his community. "I had people coming to the bank, throw the keys down and say, 'I got to go, I can't stay any longer, I can't pay you my mortgage payment, I can't pay my car payment, I gotta go find work somewhere. I am gonna put my house for sale, if somebody wants to look at it, would you care show it for me. I mean, I had that happening, and I said I can't sit here and do nothing about it." Since getting elected as the county's judge executive he has created an economic development authority to come up with a plan on how to attract non-mining companies to invest here. "Our biggest issue here is that there never was a diversification of the economy years ago," he said. But to attract companies, Harlan County will need more investment infrastructure, especially in transportation, he added. The main road running through Harlan County is US 119, a two-lane highway, which makes it difficult and slow for trucks to travel there. While this was no problem for the coal companies who delivered their product straight from the mountain mine to the power plant via railroad, it is for most other industries. But does Mosley believe that people here, whose entire life and culture for generations revolved around coal mining, could make the switch to other occupations if they had the opportunity? "Think about it, they crawl inside of a mountain and they never see the light of day to provide for their families. Imagine what they could do for a company that paid them a decent wage with decent hours and benefits. These people are hardworking people and will make a company great because of their work ethic," said Mosley. "The best investment opportunity in America exists in Appalachia." While that sounds a lot like a politician boasting about his community to get reelected, Colby Kirk thinks it is actually true. 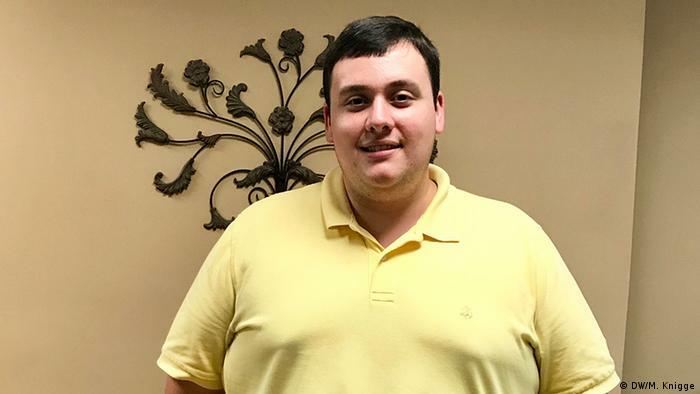 He recently started working for the county as an economic developer and said he has the numbers to prove that Harlan County is an attractive place for economic investment. To some that might sound like a politician on the stump, but Colby Kirk thinks he can prove it is true. 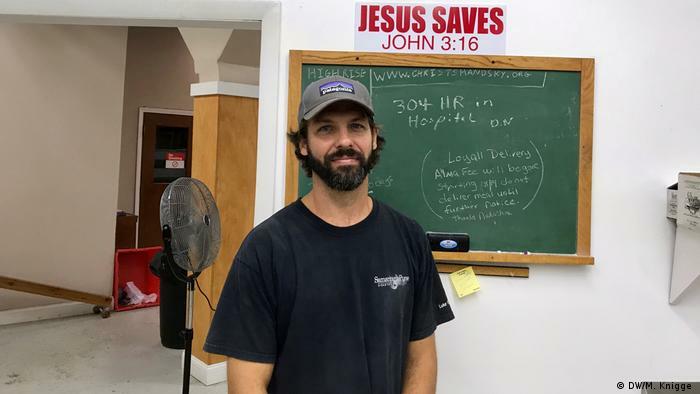 A native of Inez, Kentucky, the tiny hamlet where President Lyndon Johnson declared his war on poverty in 1964, and the son of a father who still works in the coal mines, Kirk recently started his job as an economic developer for the county which, like much of eastern Kentucky, is reputed to have a largely unskilled workforce. That is inaccurate, said Kirk, pointing to a recent study he conducted that found many people in the region have been doing electricity or metal work for a very long time — just without the papers to prove it. "The reality is we have had people doing these skilled jobs for years without any type of certification. And I think this finding is going to change the landscape in eastern Kentucky." His goal is to get those people on fast-track certification programs — and let companies know they exist. With businesses across the US currently struggling to fill jobs in a booming economy, Kirk thinks the area is one of few places with an available and skilled workforce. "Our region has never been marketed that way. When people think of eastern Kentucky, they do not think that we have eight times the national level of welders and machinists." The future may look brighter for Harlan County, but the present is bleak. Down by the train tracks, just a stone's throw from downtown Harlan, Bryan Toll and a team of volunteers serve meals to the needy. Toll runs Christ's Hands, a non-profit Christian food bank that is part of county-wide food distribution network. "Poverty is sad," he said in the organization's kitchen after the two dozen men who had come that evening in search of a square meal had left. And the poverty has gotten worse in recent years, judging from the number of people served by Toll and other groups. People who once came to help out or donate now rely on the food bank themselves, he explained. Toll, who grew up here as the son of Christian missionaries from Indiana, said he has no advice on how to improve the situation in eastern Kentucky. He feels strongly about reaching out to the community's poor and tries to help as many people as he can. "The people are beautiful," he said. That echoes how Chelsei Barrs, the newcomer from Florida who came to rebuild her life, feels about the community – despite all of its troubles. "Harlan is not as bad as everybody says. It's nice to move out here and see the mountains all the time and it's peaceful. I am a little bit scared of the animals out here, but other than that, I love it."